Now that the nefarious forces of Black Claw have been silenced, Nick faces an all too familiar foe in Capt. Sean Renard. Capt. Renard orders a shoot to kill manhunt on Nick Burkhardt. Nick makes a pact that could be deadly. A clairvoyant Wesen has his eyes set on a young family. After being dormant for seven years a new Wesen is unearthed with a deadly hunger. A mysterious Wesen turns sleepless nights into pure insanity. "Love" is in the air on Monroe's birthday weekend getaway. When loss meets science an unstoppable creation arises. Nature turns on environmental violators. 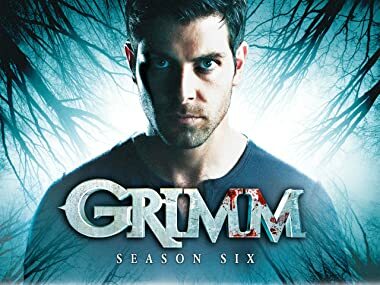 After a series of brutal and deadly attacks, Nick (David Giuntoli) and Hank (Russell Hornsby) find an unlikely lead in a local nursing home. Meanwhile, Eve (Bitsie Tulloch) goes to Adalind (Claire Coffee) to get answers that only a Hexenbiest can provide. Elsewhere, Capt. Renard (Sasha Roiz) confronts Nick about the mysterious symbols and tries to strike a deal. A mysterious portal takes Eve and Nick on a surprising journey. Series finale - Nick must look to his ancestors for strength to save the world from a terrifying end.